Pineapple OG is sativa hybrid with the flavor of ripe pineapple and tropical flavors with a hint of old diesel soaked earth lingers on after the exhale. The high hits both the head and the body, producing a calming physical buzz and distinct cerebral effect. Unlike other Pineapple and OG strains, Pineapple OG isn't very common but Green Dragon has found a good phenotype of it that follows its namesake well. Everything that goes into Green Dragon cartridges is from Clean Green Certified farms, with one exception. 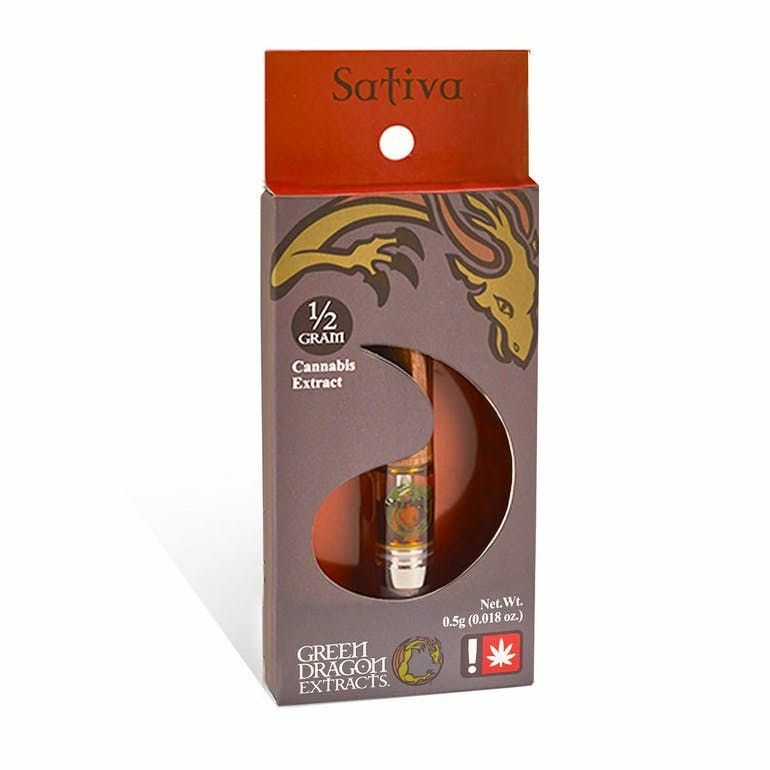 A handful of the cartridges are enhanced with non-cannabis flavors to achieve the right taste in this ultra concentrated THC distillate but most are distilled in house. This is to achieve the right effect on the users high that cannabis terpenes are specifically well suited.